This selection of papers of I. Piatetski-Shapiro represents almost 50 years of his mathematical activity. Included are many of his major papers in harmonic analysis, number theory, discrete groups, bounded homogeneous domains, algebraic geometry, automorphic forms, and automorphic \(L\)-functions. 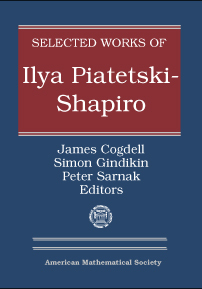 The papers in the volume are intended as a representative and accurate reflection of both the breadth and depth of Piatetski-Shapiro's work in mathematics. Some of his early works, such as those on the prime number theorem and on sets of uniqueness for trigonometric series, appear for the first time in English. Also included are several commentaries by his close colleagues. This volume offers an elegant representation of the contributions made by this renowned mathematician.